In general, I’m relatively fearless when it comes to trying new things. But I felt more anxiety than I have in a really long time during the moments right before I pressed the “Go Online” button in the Uber Partner app. I likened the feeling to being the new kid on his first day of school. Exciting, but scary! Within three minutes of going online, my phone starting beeping for a pickup. Of course, I was inconveniently on one side of Van Ness Avenue, a busy three lane road, and she was on the other side. After five minutes of wasteful navigation, I picked up a woman in her early 40s standing outside of Rhino’s home, The Honda Dealer. It was 11:38 am. I welcomed her into my car and re-confirmed her destination address she inputted into the app. It was important to be sure we were going where she wanted and buy myself as much time as possible to process everything as a newbie. The Uber driver’s center mentioned that every passenger rates their driver from 1 – 5 stars, and that if I fell below a 4.6, I’d be put on probation or removed. With the first rider, everything was at stake! I chuckled and told her unfortunately I didn’t. When we got to the warehouse, she wouldn’t stop talking. Luckily, Uber pays 29 cents a minute while a passenger is in the car. It was almost as if she wanted me to give her my number the next time she was in town or something. After sliding the “End Ride” function on the app, I was prompted to give her a rating. Of course I gave her 5-stars. She was entertaining! She gave me the same. And that, my friends, was my first experience as an Uber driver. Some of you might be thinking I’m crazy to drive for Uber. Wouldn’t my time be better spent working on my online business or consulting, especially given I’ve got my passive income optimized? Yes, from a financial standpoint, I could make more elsewhere, but from a journalism perspective, it’s important to experience driving first hand before writing about the ins and outs of the ridesharing business. Driving for Uber is like research! I want to do things that are new and fun to keep things interesting. 1) How much can you actually make after paying commission, gas, and maintenance costs? 2) How does the whole thing work exactly? From signing up, to getting paid, and not wanting to drive to Timbuktu if you have somewhere to go. 3) What are the stories behind the people taking Uber? 4) Is Uber really a good investment at $50 billion? 5) Will the sharing economy allow more people flexibility to work and live the way they want? After giving over 100 rides, I’ve come to the conclusion that Uber is a good way to make money for those of you who are in between jobs, underemployed, or would like to spend time with family during the day. You can drive whenever you want and start making money usually within 10 minutes of turning on the Uber partner app. Check out the times I drove after completing my first full week. With 100% accuracy, I avoided all 16 of the busy hours where I could make more money due to their famous surge pricing. I really dislike traffic and really enjoy my freedom, which are the main reasons why I didn’t drive during the busy hours. I’ve also discovered a driving hack where if I’m planning on playing tennis or going downtown (east), I’ll turn on my Uber partner app and with an 80% probability, I’ll pick up someone close by my house heading the same direction. It’s an easy way to make $11-$29 dollars. So how much did I actually make this first full week driving for ~17 hours? Have a look at my chart. $528.47 ain’t bad for driving at most 3.5 hours a day. I was basically averaging about 2.7 trips an hour. If you’re getting excited about my earnings, study the chart carefully. First, you’ll notice that Uber takes a 25% commission for drivers in San Francisco, which is a lot, especially since the commission is 20% in every other city. Then, you see I got a $100 “Other” income, which was my promised $100 bonus for going down to the Uber driving center at 130 Vermont Street to get checked out. In other words, my normalized earnings for doing 46 trips was really only $428.47 ($528.47 – $100 bonus). If I do 2.7 trips an hour on average, that’s around 17.3 hours of work, or $25 an hour after paying 25% commission, but before gas and other expenses. So what about gas? Well, that was easy to track because I used up the $50 gas card Uber gave me that one week. Hence, take $50 / $428 = 11.7% in gas cost. Let’s just round it to 10%, because I still had gas in the tank when I got to the next week. I’m now paying 25% commission + 10% gas + ?% eventual maintenance to drive. That’s right. Before you pay taxes, you’ve got to give up roughly 35% of your gross earnings! Notice how my acceptance rate went down from 96% the first week to only 81% the second week. This is because after gaining some experience, I realized how inefficient some pickups are. I’m not willing to drive more than six minutes to pick up a passenger to send them on an average 10-minute ride. Sometimes the app says I’ve got to drive 10 minutes to pick someone up since I was already out in the boonies. I did once, and they decided to cancel! At least they gave me $5 cash and they were charged a $5 cancelation charge. 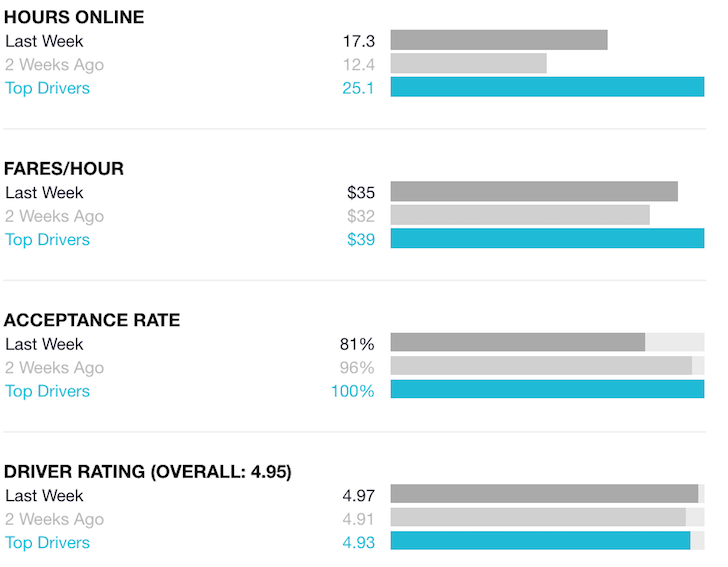 The other important data is my overall rating of 4.97 for the week with a rating system between 1-5. For some reason, I really cared about my rating even though I wasn’t even close to getting put on probation. Instead of experiencing continued excitement, like a kid who just got a new toy, I started feeling tremendous sadness shuttling people around for money. I felt like I was rewinding my life back 24 years to the days when I got yelled at for not making the perfect Egg McMuffin while making only $3.65 an hour. I felt trapped, with the lure of the next fare pushing me to keep on going. I’ve got a 2015 leased econocar for $235/month that’s covered under warranty, so my maintenance expenses should be minimal for the next three years. But let’s realistically say after Uber commission (25%), gas (10%), and maintenance (5%), I’m only pulling down 60% of my gross earnings of $35/hour. That’s $21/hour before taxes, which gets cut down by another 25% or so for a net after tax earnings of $15.75. One accident or maintenance mishap could easily blow a week or two weeks of earnings out the window! $15.75 in net earnings is barely enough to survive in an expensive city like San Francisco. Even if I worked 40 hours a week, I’d only bring in $2,520 a month. I guess I could share a crummy 2/1 apartment in a bad area with another person for $1,200 a month. But with only $1,320 left to spend, I’ll be stuck spinning my wheels forever. Such a far cry from the $500,000 a year couple I profiled, who are also stuck in neutral! Heck, to pay for my master bathroom construction would require me to drive 3,682 hours! That is depressing. The other thing that gets me down are some of the people I meet. I picked up one early 20s Hispanic woman who was kissing her baby goodbye before handing her precious over to her mom when I arrived at 6:30am. I was in a lower middle class area of Daly City, about 10 miles south of San Francisco. The woman got in Rhino, all sleepy eyed and confirmed Portrero Hill as the destination. Right before arrival, she told me she was going in early to do the 7 am – 11 am shift at Wholefoods so she could get some lunch before working another four-hour shift at a retail store in Fisherman’s Wharf, three miles north of there. Life can’t be easy for this woman. I kept on thinking in my head: You go girl! You are so awesome for working hard. Don’t give up! May you and your child have a great future! I felt proud of her work ethic and I felt proud to be an American. For the longest time, I’ve felt that life should be pretty easy if you work hard, be a nice person, and take some calculated risks. But after speaking to over 100 passengers, I’m reminded that life is not so straight forward. There’s so much luck involved with getting ahead. It’s hard to get a true idea of how lucky we are without hearing other people’s stories. I wonder how on Earth the two kids I dropped off in the Projects can successfully compete against private school children with all the tutoring money can buy. Is the mother who works a minimum wage job at Wholefoods destined to forever stay stuck in similar occupations? It’s a shame public transportation is so bad or housing is so expensive that she has to take a $14 Uber ride. How will she ever get ahead? 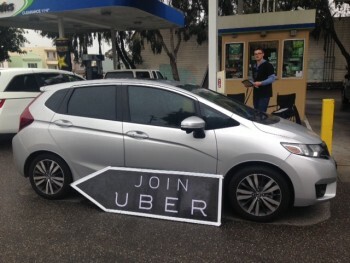 I question the sustainability of Uber’s business model, which keeps cutting fares to the point where all they’ll have are drivers who simply sign up for the free $50 gas card or the up to $300 driver bonus after giving their 20th ride. Uber should make every single Uber employee sign up to be a driver and give at least 20 rides themselves. This way, they’ll gain first hand experience on how to improve their product and empathize with the growing chorus of ridesharing drivers who are just trying to make ends meet, but can’t. They say there is a legal reason why they can’t, or else they’d be all over it. My Uber experience has been extremely humbling, and I’m thankful for it. You can sign up for being an Uber driver here. Take advantage of the sign-up bonus in your city and then once you reach the required number of trips, I suggest only driving during surge or when you’re going somewhere and can pick up a passenger along the way with their destination feature. Why not make easy money? I did and now leverage the internet to make more. Start Your Own Website, Be Your Own Boss: There’s nothing better than starting your own website to own your brand online and earn extra income on the side. Why should LinkedIn, FB, and Twitter pop up when someone Google’s your name? With your own website you can connect with potentially millions of people online, sell a product, sell some else’s product, make passive Uber driving referral income and find a lot of new consulting and FT work opportunities. Financial Samurai started as a personal journal to make sense of the financial crisis in 2009. By early 2012, it started making a livable income stream so I decided to negotiate a severance package. Years later, FS now makes more than I did as an Executive Director at a major bulge bracket firm with 90% less work and 100% more fun. Follow my step-by-step guide on how to build your own website today. You never know where the journey will take you! Updated for 2018 and beyond. The company has gone through some tremendous corporate change after the CEO and many other executives were ousted in 2017 for doing nothing about their poor corporate culture. They are doing their best to change with new management, new tipping options, and more. But it’s tough to make money driving. It’s much better to leverage the internet instead. I know this is old, but as a person who is doing Uber strarting from the end of 2017, honestly if you’re struggling your doing it wrong. I live in NY and make $7K, monthly and have no problem living. Sure I am not driving a mercedes (I bought a lexus for personal use, fully paid), but I still can eat, drink, run, jump and put money aside for other investments. I don’t spend mone on going out for money unless I’m with people and that’s not often. I don’t spend money on TV or housephone, subscription services (just internet and on the cheap for that). Because I do uber, I spend $50/mo on prepaid. So if I can’t pay it (never happens, I just forget) on time. Only penalty is a shut off. NOthing financial. If you can’t budget, had children before you were ready or keep yourself in poor health, and/or remain ignorant on how to make passive income, then you will kill yourself before Uber does. Budgeting and living below your means is your friend. LEarn and grow. You stated “Check out the times I drove after completing my first full week. With 100% accuracy, I avoided all 16 of the busy hours where I could make more money due to their famous surge pricing.” because “I really dislike traffic and really enjoy my freedom, which are the main reasons why I didn’t drive during the busy hours.” doesn’t make sense. I think you misunderstood the “busy hours” concept–it’s not rush hour–when there is a lot of vehicle traffic–it’s when there are a lot of riders compared to available drivers. Just take a close look at the hours that are on the grid marked for busy hours. Only a couple are during rush hour. Most of them are around closing time for clubs and bars with some when people are headed out to their bar or club on weekend nights. Not really a lot of traffic out at closing time but sometimes curbsides and parking lots can be busy. Maybe. Rush hour + 1-2am driving times is not that great. Neither is the busy time at 3am – 4am when US traders and sales people go to work before the stock market opens. Just came across your articles while researching how Ubers Uberpool works on diverting your route, and the costs, as its just starting in London today. So started at your “How uberpool works” article, and now just read this article. I normally dont post on blogs etc, or even read them for that matter, but this was really interesting. I will try to remember to check back in future for other posts. Don’t forget to sign up for my RSS e-mail feed or newsletter. I am planning to join uber for fun. Can you send me a referral link so that you can get the referral credit? Thank you for spending your valuable time doing the research for us. Sam, great post. It’s interesting to see the process from the driver’s perspective. I use Uber all the time when traveling for business from SF down to LA. It’s usually a great experience, however I’m surprised the threshold for probation is 4.6, only the best of the best! Do Uber drivers rate passengers? Also, have you heard of Uber Eats? Uber delivers food down in the LA market, which may have been why the woman asked if you (i.e., Uber) serve brunch. Their current offering is a standard lunch/dinner option, it’s like one meal and apparently drivers have x number of servings in their car and deliver them (as ordered, if ordered) during the course of their regular driving. If a few hours go by and no one has ordered the food, it gets tossed. Yep, Uber drivers rate all passengers after drop off. The problem is, it doesn’t matter for riders as they are the clients and pay the money. If a driver gets a 4 out of 5, they are essentially getting a vote to get kicked off since the probation level is 4.6. Crazy IMO. That may be accurate for Uber “it doesn’t matter for riders as they are clients…”, but as Lyft driver I can tell you that the rating I give my passengers does matter on the Lyft platform. Lyft has the same 4.6 threshold as Uber seems to for probation of driver status when riders rate drivers. When drivers rate passengers it serves three purposes: 1) You and other Lyft drivers can more accurately assess whether to accept a ride from someone with a lower star rating; 2) Low ratings with detailed comments can cause passengers to lose ride privileges; and 3) If a Lyft driver rates any passenger 3 or below, the app will no longer pair that driver with that passenger, no matter the proximity. Thanks for going into the trenches and getting a first-hand experience of driving. I think it’s a great idea to use it just for the hours that you want, and especially if you are wanting to head in a particular direction (ie for playing tennis…etc). Works even better if you are situated in a dense area. I’ve wondered if it is prudent to drive as an “LLC” rather than as an individual for legal purposes. Obviously you would hope that the insurance coverage or umbrella coverage is adequate for the risk incurred. Great article and thank you for providing us with your experience. I guess I will sign up just to get the bonus. Nice article. We use Uber quite a bit when going from our house to the airport, but haven’t had the opportunity to use it outside of the Bay Area. This past trip we used it in London, Paris, and Boston. We were also in Naples, now if there’s a place that could really benefit from having Uber, Naples would be it. All-in-all good experiences, especially in Boston, it allowed us to stay at a cheaper hotel a little further out and we would just Uber everywhere we went, saved us a lot in terms of money and time by not having to rent a car, getting lost, paying for parking, etc. What was interesting was our experience internationally, in Paris they had a taxi strike protesting Uber when we were there, and it was almost impossible for us to get a taxi when we first got there. In addition, you hear about countries like India where they ambush Uber drivers and beat them up (or worse). I would like to get your insights on this or if you had any negative experiences with other traditional taxis while you were driving for Uber? I have! One taxi driver in a traffic jam tried to forceful cut in front of me. When he realized he couldn’t (nothing was moving) he spit on Rhino! I took a pic of him and the cab number, and called it in. The driver definitely wasn’t American. Not sure why so much hate. He can switch if he wants to. Or maybe his background check wouldn’t pass. We’ve been considering Uber as a good way to make extra income, but I’m not sure it’s worth it. I’m impressed that you actually got hands-on experience and appreciate that you share the personal side of your story and your passengers. I think it’s worth it to drive until you get the sign up bonus. The range is $50 – $300 usually, depending on city, and requires you to drive 20 times. After that, I don’t think it’s really worth it unless you’re really hurting for cash. I drove for Uber in the Providence, RI market and found it wasn’t worth it. I made between $10-12 an hour and that was with surge pricing! That’s not worth it to me for the maintenance, etc. It might work in bigger cities but not smaller markets. Plus I had the joy of someone throwing up in my car! Good times! I haven’t had the throw upper yet! Fingers crossed. I think you get $200 – $250 if you let Uber know, as they charge the driver and send you the money. Seems only fair. I really appreciate your article! I want to do lyft and uber, and I am looking for a job as well. I’m an hour north of San Francisco. If you were starting on a shoestring budget, and didn’t have a smartphone what kind of smartphone and plan would you get if you were using it primarily for your rideshare business? You seem to be more sympathetic than most towards people that don’t have a lot of money. Thanks. I think you can rent a phone for $10 a month, but I would probably just buy one for yourself, and expense a part of the cost of the phone and the monthly usage cost to your ridesharing income. I have a 5GB a month data plan, and I’ve never run over. I don’t think you need a huge plan as the app doesn’t hog much data. It’s important to be a very careful driver. One accident or speeding ticket can screw up a week’s worth of income, easy! Very nice story. It is always interesting to read the thoughts of someone who drives for Uber or Lyft as a lark, in order to make a journalistic summary about it. I have been driving for both Uber and Lyft for about 4 months now. I Drive approximately the hours that you did, sort of during daylight hours during the week. Avoiding nighttime drunks, and weekends idiots. I have a weekly financial spreadsheet so that I know when I reach my goal or not. I have to make a certain amount of money to cover my bills. I can tell you that over time, my back is killing me and my car is about to fall apart. On the bright side, I put on about 200 miles a day, so in these four months, I have no taxable income, in fact, just the opposite is true, if you figure the IRS mileage deduction. Driving in New Jersey has its own special challenges. The area is vast, more than 5,000 square miles. I could wind up anywhere at the end of the day. And, unfortunately, New Jersey drivers can take passengers into New York City, or New York State, or one of the New York airports, but cannot pick up from there. So the ride back to our territory, New Jersey, is always an empty one. Lyft does not compensate you for that empty ride in anyway, at least Uber throws a few dollars at you. I could write a book about this myself, but I have to get back to work! Hi Matt, thanks for stopping by. Check out Healing Back Pain by Dr. Sarno. Also, if you can write a book about this topic, you should! You might very well earn a lot more or at least supplement your Uber income and allow you to work less. You never know what may happen if you produce a product people like! +1 for Dr. Sarno’s book. Fixed my debilitating back pain in 2 months after a year of ineffective drugs, tests, and treatments. My issue was ‘eyes’. Interesting how stress/dissatisfaction can manifest itself with physical symptoms. Howard Stern dedicated his NYT #1 bestseller ‘Private Parts’ to Dr. John Sarno for changing his life. Really interesting piece! Uber driving strikes me as a good gig for someone who is between jobs/ needs a fast way to increase cash flow or has figured out a way to only give “I was going there anyway” rides. I guess that’s the sharing economy–designed to piggy back on things people had already committed to pay for (car payment, insurance, even some routine maintenance and depreciation). That’s exactly it Claire. Driving is good supplemental income. Given I’ve already committed to leasing my car for the next 3 years and paying for gas and all that stuff. Now that I’m working, I can write such expenses off. In my next post, I’ll share some very positive reasons why everyone should drive. Fascinating insights! In Philly, most of the drivers are white, middle class drivers with college education. You can step outside the door here and hail a cab within a minute as there are lots of big cab companies here. Uber and Lyft are doing well here still, even though they are a bit more expensive. I think it’s because most people are white here, and they enjoy riding in cars driven by other people who look like themselves. Cab drivers are often not American. A really interesting and thoughtful article Sam, the kind of thing I’d expect to read in a quality newspaper as a feature. Your thoughts on the reality of life for hard working people on low wages are refreshing to read versus some of the relentless positivity many financial blogs peddle. Thanks Jim. Stay tuned for another post where I share even more stories. It’s been a pleasure to listen to how other people lead their lives. Thanks for the fascinating look at the personal earnings side of Uber. 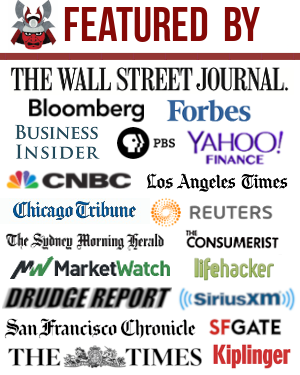 The $50B valuation (is it really that much?) is outrageous though. I mean, it’s an app! Marriott and Hilton – combined – have a market cap less than that. By the way, as a driver, the economics are more compelling when you consider the operating expenses (gas, auto maintenance, etc.) are tax deductible, no? Yes, I think they just finished raising at a $50B valuation from ~$42B in 2014. GREAT point about the economics being more compelling once deductions are factored in! I’ll definitely have to write a follow up post with a chart. It’s nice to be able to write off a good portion of my car lease payment, gas, maintenance, tickets (?) and other things that come up. Ah, good point on the standard deduction amount and the itemized deduction amount. The good thing though is that those who just do standard deduction are probably also in a lower tax bracket. It’s amazing the things people will tell you. I was a bartender for a long time while in college, it’s not all glamorous, but it was fun. Lots of stories there too. And you watch the pickups as they happen, live. Bartending… now that sounds like a stressful job. Always got to be on your feet and deliver a good drink! Seems perfect if you want spending money. Not sure I would do it full time. I just began driving for Uber on Thursday. I’ve detailed every fare I took on my own blog because, like you, I was confounded by how little I was making. Fortunately I have other income streams, because in my market (Tampa Bay) I earning less than minimum wage after taking out expenses. Example: In Tampa, drivers are paid $.95/mile and $.13/minute, but Uber takes 20% of that, so it’s actually 76 cents a mile and 10 cents a minute. That might work if I constantly had a passenger and never had to wait for my passenger. One of my first passengers kept me waiting 15 minutes while he took a court-ordered drug test. During my wait, I made $1.50 ($6/hour) and had to sit in a sketchy parking lot in 93 degree weather. Because I wasn’t going to get another fare from the area where I ultimately dropped off my passenger, I had to re-position. My mileage driving to pick up the passenger, as well as to re-position, goes unpaid. My “paid miles” so far are under 50% of my total miles driven. Effectively, Uber isn’t paying me $.76/mile but closer to $.30/mile, which doesn’t even cover the cost of using my vehicle. Hi Jon! I’m gonna check out your posts on your Uber experience as well! I guess drivers in SF are relatively luckier in that we aren’t too focused on the $/mile and $/minute. We are in Uber demand central and it seems like everybody takes Uber so the app keeps buzzing so much so that I had to turn it off when doing other stuff for even just 1-5 minutes. The question I have for you is: How do you decide when to stop driving? At what point is it no longer worth your time anymore? Since I don’t rely on Uber to make ends meet, I have the luxury of experimenting with different strategies. I live on a dense peninsula full of tourists and service workers in the hospitality industry, many who don’t own cars. This population density means I can sit at home and wait for pings. This isn’t as productive as driving to Gulf Blvd. and waiting near the big hotels, but the quality of life is better when I’m at home and can do other things between passengers. Another strategy I want to test is absolutely not driving between passengers. When I drop one off, can I drive to the nearest shaded area and just wait? Will the downtime kill my hourly earnings, even though I’m saving on gas and other vehicle expenses? My best day was Saturday night. I basically remained in a two mile radius the entire night, shuttling tourists to dinner and back to their hotel. Later in the night it was to the bars and clubs or to a concert. It was my best day in total dollars but also in most productive miles. 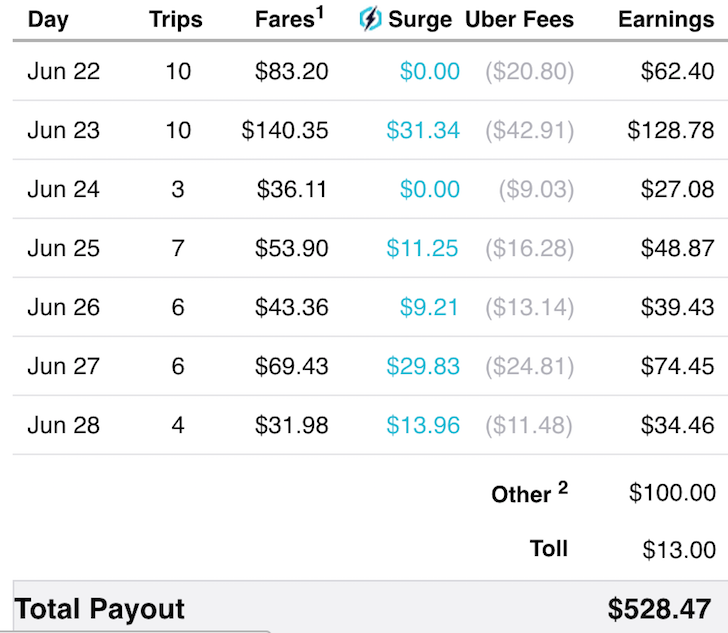 I’m quickly finding that tracking my paid miles versus unpaid miles will be the most important measure of whether Uber is worthwhile. Kind of interesting insight from a social prospective….. It is good to be upper class. And sometimes we forget how bad things can really be. Thanks for sharing! It’s definitely something we are considering for T (he loves driving, we now have a new enough car, and heck he’s talked about wanting to drive taxis in the past). But yeah, I wonder about whether it’s worth it and I also have a lot of issues with Uber as a company. If T loves driving, he should give it a try and drive until at least he gets the bonus offer paid. The biggest risk is getting into an accident. It may take a good week to make $1,000, which is often the cost of a deductible. What are some of the issues you have w/ Uber? I don’t love driving at all. But, I still had a pretty interesting/fun experience the first two weeks until I realized some things here and there that made me lose interest e.g. $33 gross fare to the airport, but it was really only $19.80, etc. I wonder what her, or anyone’s “lot’s of issues” are. If you turn on the app and give someone a ride, then next Thursday they put money in your bank account. I will say my main issues are driving far to give someone a short ride, and driving into the city but having to return to NJ empty. Tipping would be nice, but a LOT of people hand me between $5 and $20. I ALWAYS say, “you don’t have to do that you know”, and they ALWAYS say, “I know”. 30k a year (@40 hrs per week) as a Uber driver is probably better than some other crappy jobs prospects. I tried to find a post relating to this or email directly but couldn’t find anything. I see you mentioning alternative investments and I was curious what your thoughts on P2P investing sites like Lending Tree and Prosper were. I’m looking for a mostly passive income stream to supplement my day job and 2 rental homes and I’ve been interested in this market. The returns are in the 7% range for super conservative, low risk loans. I’ll take that any day! I notice this all the time when calling Uber in San Francisco – the application’s map doesn’t take into account what side of the street you are on, which can often mean at least 5 minutes extra wait time, above their estimate, just for the driver to go around the block or find somewhere to make a U-turn to get to your side of the street. So painful indeed. I’ve declined several rides because it would result in me getting off the highway to go the other direction or something. Waste of time. 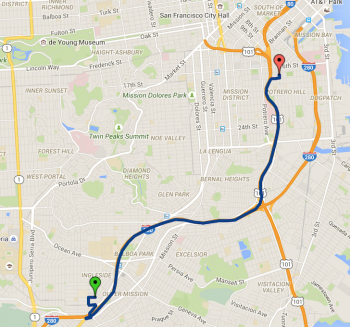 I hope their algo gets better at identifying more convenient routes for pickup. I believe they will with the latest “Pickup Suggestion” for passengers option getting rolled out in SF right now. Did you tell your insurance agent you are driving you car for Uber? And how did that change your insurance rate? As always, all UberBLACK, UberSUV, or uberTAXI rides are provided by commercially licensed and insured partners and drivers. Those transportation providers are covered by commercial insurance policies, in accordance with local and state requirements. We are proud of these policies. We continue to look for ways to do more to ensure safety on the road for our transportation providers and their passengers. As we continue collaborating with the insurance industry and other stakeholders, there will be more to come. You should look in to it (but be cautious)- curious to hear what they tell you. Better yet – ask Uber if you should disclose the fact that you’re driving for them to your personal insurance. As far as I know, the line in Uber’s policy stating “During the time that a ridesharing partner is available but between trips, most personal auto insurance will provide coverage.” is patently false. Personal auto coverage explicitly prohibits the use of your vehicle for commercial activity. If you get in to an accident and tell your personal insurance that it happened while driving for Uber you will most likely end up in a very unpleasant case and be dropped from your policy…and Uber requires you to have personal coverage to be on their platform (see how that doesn’t quite connect?). I’m curious to see how the regulation and contractor/employee rulings for these platforms shake out. There are a lot of holes in the system, including insurance. It’s also interesting to me that it is marketed as a “drive in your spare time” kind of deal, yet Uber incentivizes drivers to drive as many hours as they can get out of them (and even matches drivers up with financing to be able to buy cars specifically to drive for the platform). At that level I think there needs to be some level of benefits and worker protections, unless we want things to turn in to a race to the bottom. As much as Uber wants to call themselves a technology company, when the face and legs of their business are considered independent contractors there’s something not quite right and is setting a bad precedent for the future of our economy. Shyp recently switched all its employees over to employee status, and I hope to be seeing more of it. If people want to work only a few hours a week and not meet the threshold for benefits and full time status, that’s fine. But the de facto situation being not being able to make a living wage after taxes and overhead is great for only the company setting up the deal. I love the convenience and level of service being provided (typically) – but the industry needs to mature. Taxis are horrible and have a whole host of issues of their own, but the fact that there are two sets of models providing the exact same service at the end of the day with two different cost structures and legal requirements doesn’t quite add up. Regulate them all on a level playing field (wherever that may end up) and let them have at it. Uber actually changed their insurance policy starting July 1, 2015 where they cover drivers at all times once they go online eg going to pick up a passenger or look for fares. It’ll be interesting to see how things pan out! The accident risk is a real one that people need to factor in. That’s actually really good to hear. A few months ago I know they announced a partnership with Metromile to offer drivers coverage through them and avoid any policy holes – but haven’t heard much of it since. Either way – definitely a step in the right direction…but still, in the long run will be interesting to see what happens with the driver classifications and benefits discussions. Not just for Uber & Lyft but for a lot of the companies using 1099 classifications – it’s probably going to determine the future for a lot of them. At this point Uber will be fine either way. Great job with some great on the ground first-hand reporting! Thanks for sharing. I would love to try being an Uber driver, but I’m just too busy right now. From your experience, I probably would drive just enough to get all the bonuses. It sounds like a good side hustle for someone trying to fill the gap, but probably not worth the time for more established people. Like Ali said above, I’d probably go with something else more fulfilling. I suppose when you think about it as a full time job, then it may not be all that great, although pretty decent considering all you need is a smartphone and a working/decent car. A $15+/hr rate for job like that is a solid wage higher than say retail or fast food at $8-10/hr. Alternatively, if you can work around the busiest/highest fare times with another job, and come to drive a few hours per week during busy hours, you could really boost the overall income picture. Yes, it makes sense to sign up and drive once you get the bonuses and stop if the fares keep on getting cut. It’s not a bad side gig if you want to make money quickly, are bored out of your mind, or can drive during the surge times. Love the hands on “in the trenches” experiment. I did the same thing with lyft, but not nearly as deep as you went with 100 rides. I was just curious what it was like and it made for a good story. All my friends thought I was crazy. But I kind of cheated. I would just volunteer to drive and would have one of my friends use the promo code for $25 on their first ride. So I didn’t actually pick up any strangers. Try picking up some strangers! It’ll be fun! My thought is you dodged a bullet. You have a lot to lose. Your fellow Uber drivers, taxi drivers, limo drivers, etc. get that come-on all the time, don’t have much to lose, and it happens sometimes. All kinds of commerce is stimulated. I was kind of thinking along the same lines…..
40s is the new 20s. Someone puts the Gypsy Cab online and suddenly it’s a $6 billion dollar business. This passes for a revolutionary business success in today’s tech bubble? I have often wondered what exactly it is like to drive for Uber (and how much you can make) so thanks for doing the legwork on this! I’ve used ride sharing but have never really considered driving myself. My feeling is that if I wanted to pursue a side hustle, I’d try to find something more in line with my interests. That said, if I needed money quick, your post has shown me that Uber might help! No prob. The cool thing are the sign up bonuses and the ability to make a fair within 30 minutes of going online. They pay electronically every Thursday, which is also excellent. I’ve had contracting jobs where I wasn’t paid for three months! Wow, rockstar job researching and testing things out firsthand! Since I live in San Francisco I’ve definitely experienced the explosion of Uber on the city here. Lyft has grown a lot as well, but I haven’t had much luck with it. My first Lyft experience was good and then it went downhill after that. But I’ve used Uber a good amount and always had a positive experience. I can understand your emotions. As a rider I also feel more sensitive to the drivers, especially compared to traditional cabbies. I think it’s because most of the cabbies in San Francisco tend to be older, aggressive drivers, always on the phone, and very salty. But Uber drivers tend to be younger (although there is definitely a mix of retirees in there), very respectful, friendly, hustling to make supplemental income, mindful of which routes they take, and drive a lot safer. I’m sure having their rating on the line is a part of it and that’s a good thing because it makes a better experience for everyone. One driver I remember was a retiree probably in his 60s who took his job very seriously and said he really loved the opportunities it had given him to live a more comfortable retirement. He dressed in a collared shirt, offered water (even on Uber pool! ), and was just a friendly guy. Another driver I had on 2 separate occasions is a young guy probably in his 20s who trains as a wrestler and drives on the side to pay his bills. He was really proud to be able to pursue his dreams by working for Uber in his free time. So it’s really great that it can help a lot of people. It’s cool you spent so many hours trying it out yourself and it’s natural that your interest in it has faded. You got a lot out of it! Can’t wait to read your follow up post. thanks! Thanks! Sounds like you’ve had some great drivers! I always love talking to the drivers and hearing their stories. You really begin to root for the drivers who are hustling to make some extra cash. Gives me motivation to work hard as well! I think people will enjoy the next post. Stay tuned! I had my first Uber and Lyft experience this past Saturday and I was not impressed. (I live in the Twin Cities of Minnesota) The cars were clean and we arrived at our locations, however, both driver’s choice of music was not appropriate. The Lyft driver on the way to the bar turned up his 90’s rap very loud. While I was slightly into it, my friends were not. Once we got to downtown, the driver proceeded to turn the music up louder and catcall! I wanted out. I was not comfortable. My post-bar Uber ride may have been worse. After taking about 10 minutes to find the car (it was on the other side of the busy street), we get in and the guy turns on an Islamic CD which he has on repeat. It was more or less a chant of these verses. We all were creeped out and once home, one of the girls I was with was like I can’t believe that happened. With the violence occurring in the Middle East, we didn’t know what to think. The one cab ride I have taken, I was actually more impressed. While the cab was dirtier and the cab driver older, it got the job done. Either way, as an avid biker and busser, I may never use one of these services again even after considering the reviews from my friends. I have never had a bad uber experience. In fact, I have mostly been extremely impressed with the quality of people I have experienced in using uber. Yeah, that’s why I am curious to try again. I bet that the people I received the rides from were good people, it’s just they weren’t the best drivers, in terms of giving the rider a good experience. Hmmm, maybe it’s just bad luck. I’ve only had one Lyft driver cancel on me for having the wrong address. It’s been pretty easy to provide a good driving experience if you are an attentive, thoughtful human being. But, I have heard feedback that the quality of drivers and cars is going downhill. And the guy creeped you out because there’s violence in the middle east? Maybe they should just send people like him out of the country. Obviously they must be up to no good! I am curious, how many miles did you drive in total? I am asking, because it might be easier to make a comparison using the IRS approved 58 cents/mile deduction. This would take into affect not just gas, but also depreciation on your car. The 58 cents/mile deduction is a good barometer for maintenance costs. I’ll have to tally up my miles driven in a future post and do some calculations. They don’t conveniently add up the totals, probably b/c it doesn’t look that good from a profitability standpoint for the driver. 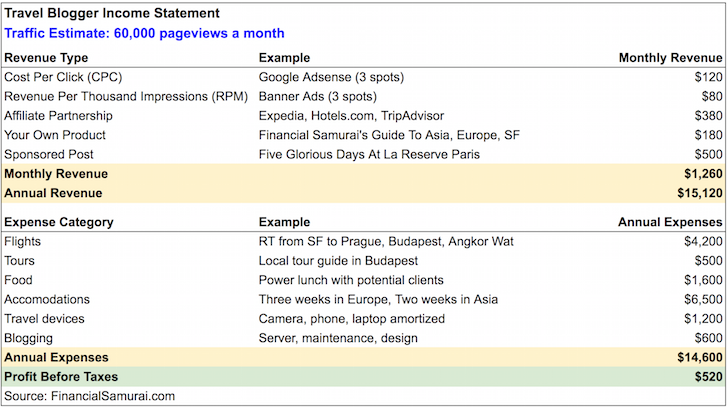 But, I am pleased with their weekly reports like I’ve provided in this post. Interesting insights. Great article. I’ve been looking at joining in for a little more additional play money, or surprising my wife with a random trip to Europe. This puts into perspective that amount of time Uber really requires to make the mission worthwhile. Have you thought of doing the same analysis for Lyft? While in NYC for a week, I used Lyft to travel all over the city. Talking with the drivers, they seemed to really push for Lyft’s success, though majority of them drive for both. They claimed that Lyft is better to their drivers and allows them to keep 100% of their earnings, by not charging a commission. It was my understanding that this is only for a limited time, but it seemed to be a cause of drivers promoting Lyft over Uber. That seems like an unsustainable business model. Which is why it won’t last forever. It’s more of an incentive to pull drivers from Uber. With raising $1b with an evaluation of $2.5b, they can afford to offer incentives like that for a little while. I might join lift to see how it compares when there’s a big bonus. There is a driver war between Uber and Lyft where Lyft may pay $1,000 to Uber drivers to switch or try them out. You can build a $1B company by giving away $1.1B. Consumers are really winning in this private equity/VC bubble. Exactly, in every corner of the consumer market, companies are giving away $20 of value for $10. And doubt whether it’s actually a benefit to consumers at all as companies die out quickly and buyers left dealing with fragmentation and constant change in the marketplace. Ridesharing and other “sharing” companies will likely increase in cost over time as all the legal and employment and other issues get worked out. Although, the concept makes sense and so long as they can offer a reliable service, people will be willing to pay for it. It would be interesting (and maybe it’s already out there in testing somewhere) if they could offer planned rides. Like, “On Friday at 2pm I want to go from A to B and am offering $x in payment”. Things like morning commutes, airport rides, carpools, etc, could be an interesting opportunity. I’m sure there are logistics challenges, and maybe regulatory hurdles, but from a customer perspective, that’s really valuable!… and likely worth a small premium or even a deposit payment. Exciting to see how it changes. Even myself, over the past 1.5 yrs, I’ve taken mostly Uber to/from the airport. They started adding destination fees since the airport requires that, but it still ends up cheaper and less creepy that most taxis. Seems to be here to stay, and hopefully the experience can stay mostly positive and the pricing favorable. Best wishes to them (and other sharing companies)! I agree. Once the market is saturated, prices will go up ironically due to regulation and a company’s desire for profits. Uber just started testing out 25% commission in SF vs. 20% everywhere else. I guess my $35 gross rate/hour is pretty good based on a lot of other rates I’ve seen around the country. But SF is expensive, and 25% feels like too much, which is why I’m only going to drive during surge time, when I need to run an errand, or go east to play tennis or go downtown. Great thoughts, Sam- and good on you for doing this for so long for research purposes. I suspect your mindset would change once again if you kept at it for longer, as you start to settle into the new groove of the role. I’ve talked with so many cabbies in Singapore who work with a family member to keep the cab running for 24 hours a day, given they have to pay rent for the car each day. 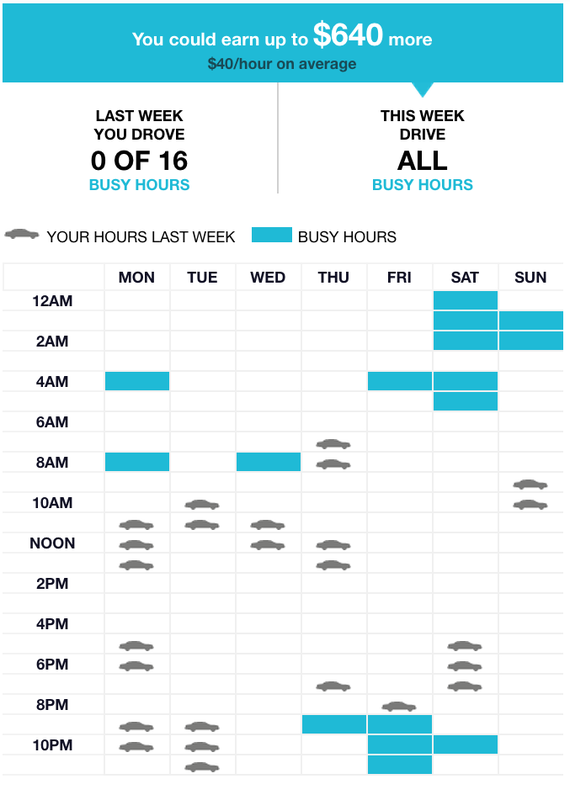 Keeping your own hours is pretty nice, and the car hack model is quite sweet. The hard experience stories are kind of tough to take. I guess it helps to remember that everyone has to start somewhere and every step of our life involves struggle, from being a child all the way to growing old. Keeping the car going 24 hours a day could be potentially very lucrative if each family member takes shifts. Let’s say it’s realistically more like 20 hours a day, with average net of commission earnings of $20. That’s $400 a day or $12,000 a month! Takeaway $1,500 for gas and another $500 for maintenance and you’re still at about $10,000 pre-tax. It’s not like the family is taking shifts to stay away to defend themselves from predators in the woods…. So I guess it’s doable! They drive the taxi’s 24/7 in Dubai. Usually a Toyota Camry, which will last until 600,000 kms or about 400,000 miles over 3 years. Compared with working in India/Pakistan, they are much better off.